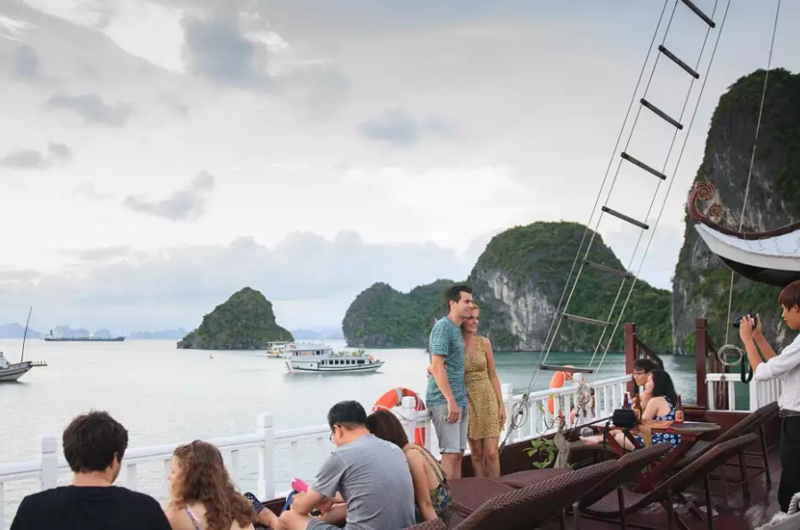 As giving travelers many exciting experiences like sleeping at night on the sea, enjoying romantic view, sunset as well as sunrise in Halong Bay or night fishing, exploring Halong Bay on cruises has become more and more popular. 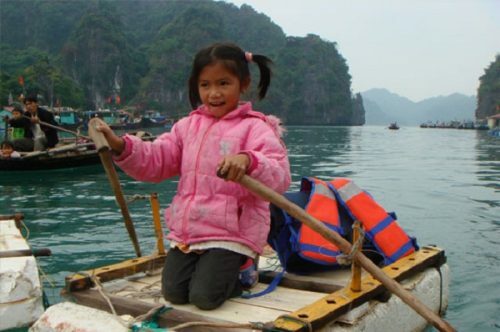 The following are the best Halong Bay cruises that you can choose for your trip. 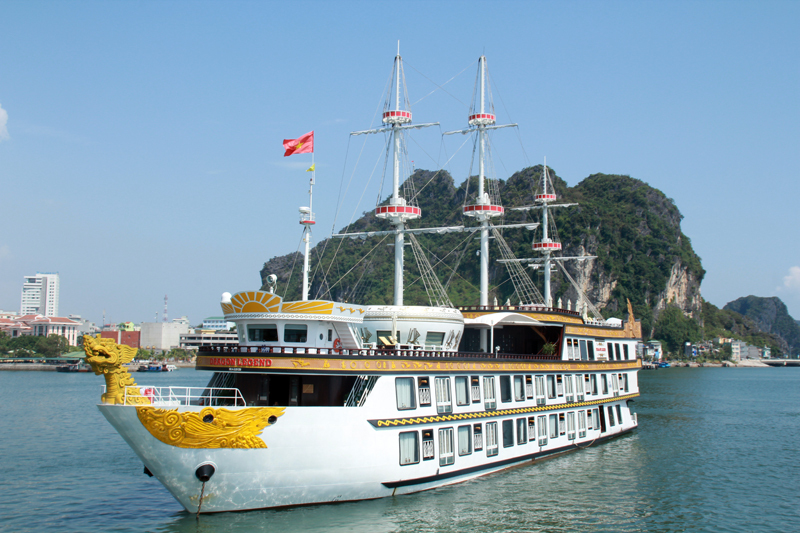 The cruise with only 14 luxurious cabins on board with the smallest size of 36 sqm ensures one of the most amazing trips you can experience in Halong Bay. 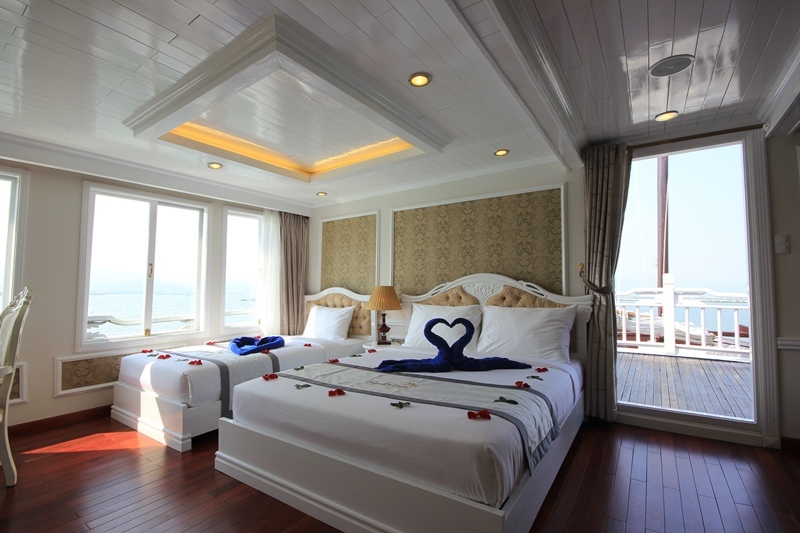 At the private balcony in all cabins in Orchid Cruise, you can admire the full ocean view and enjoy Halong Bay’s magnificent seascape. 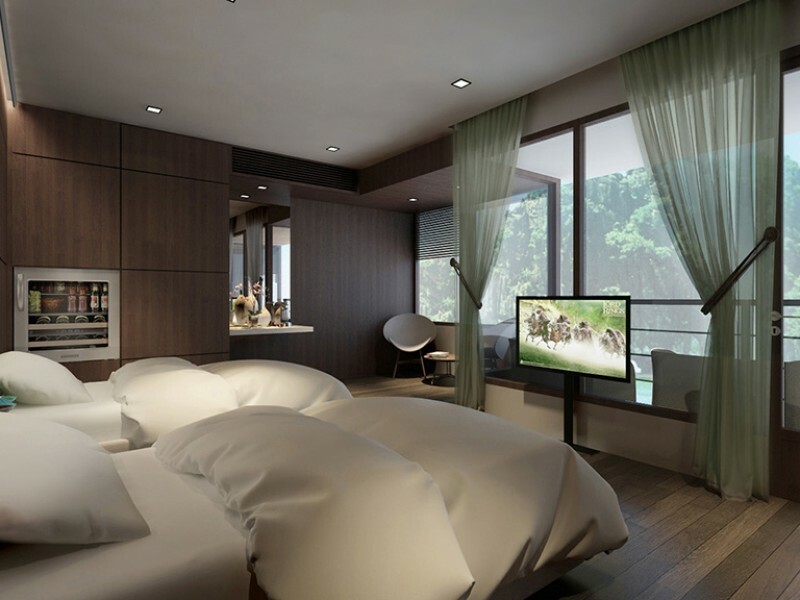 There are 5 choices of room types, namely, Orchid Exclusive Suite, Family Premium Suite with Balcony, Premium Suite with Balcony, Family Suite with Balcony and Suite with Balcony – each has its own advantage and suitable for a specific group of guests. All advanced amenities equipped in all Orchid Cruise’s cabins ensure the maximum satisfaction and comfort of guests. In addition to luxury private cabin, Orchid Cruise’s public amenities are also unparalleled: luxury bar and restaurant, theme party on request, pick up services by Limousine car, gym room, beauty spa services and so forth. Awaiting you on Orchid trip are a great deal of thrilling activities like cooking lesson, discovering amazing grotto and island, squid fishing, kayaking, sunbathing, etc. In spite of boasting the largest cabin sizes among all cruises in Halong Bay, Signature Cruise has a surprising small number of cabins, each of which is equipped with modern amenities such as flat screen TV, private Jacuzzi, safety box and working desk and decorated with luxurious interior. Exclusive Family Suite, Elite Family Suites, Senior Suite and Junior Suite are 4 kinds of cabins on Signature Cruise. Based on not only the size and quality of its cabin, but also its public space and onboard services, Signatures are rated 5 stars. With inner interior and design theme exactly the same to a royal construction under elegant white color, Signature Cruise is well worth being claimed as a floating palace. Currently, besides fixed itineraries, Signature Cruise also provides customized tours that meet the demands of the customers, but all with limited time of 2 days or 3 days. Surprise Cave, Titop Island and Cua Van Floating Village, where passengers can take part in a wide range of joyful activities such as snorkeling, kayaking, swimming and squid fishing, are various attractions on the program of the cruise. There are two ships, which were built in medium size with only 17 cabins per boat (equivalent to the capacity of 34 passengers) consisted in Aphrodite Cruise line. On this boat, there are 2 main cabin types including Luxury and Suite cabins, each kind is also divided into sub-kinds, with Standard and Terrace Suite cabin or Standard and Balcony for Luxury Cabins. 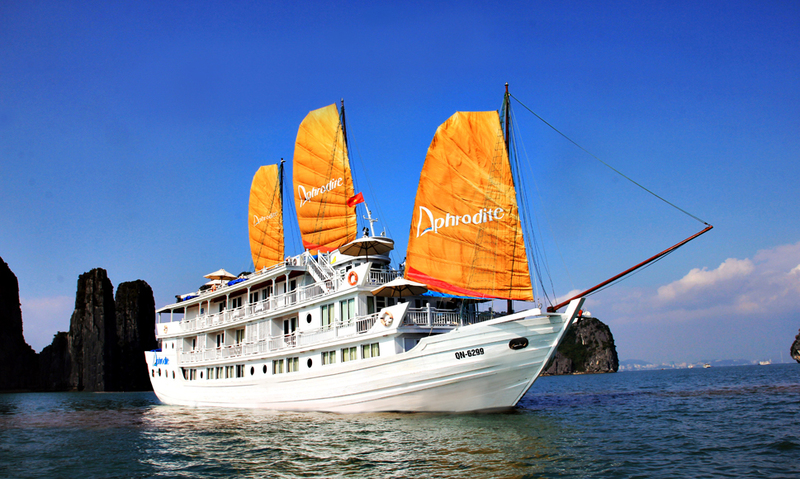 The elegant design, with precise interior and warm-colored wood-paneled walls which follow ancient Vietnamese theme, is the first apparent feature of all cabins on Aphrodite cruises. In addition to modern amenities on international standards, such as a minibar, air-conditioner, LCD TV and private bathroom, each cabin is also equipped with other essential items in order to ensure the highest satisfaction and comfort for all guests staying on board. Once getting on the Aphrodite, you will feel like sailing to an awesome bay with the Goddess of Beauty. Dragon Legend, which is the latest cruise to be launched by the popular Indochina Junk cruise company, featuring 24 cabins spreading over 04 decks, is not only a state of the art cruise but also the soul and heart of Indochina Junk’s management department who have made so much effort into putting this cruise into operation. 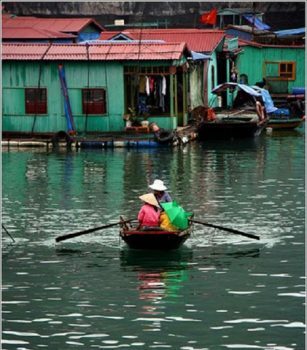 All cabins feature Vietnamese hand-made furniture, bathtub and provide stunning sea view. Offering cruise trip to Bai Tu Long Bay together with some visits to less visited destinations such as Cong Do area and Thien Canh Son Cave, Dragon Legend promises all travelers an amazing trip that you can never forget.